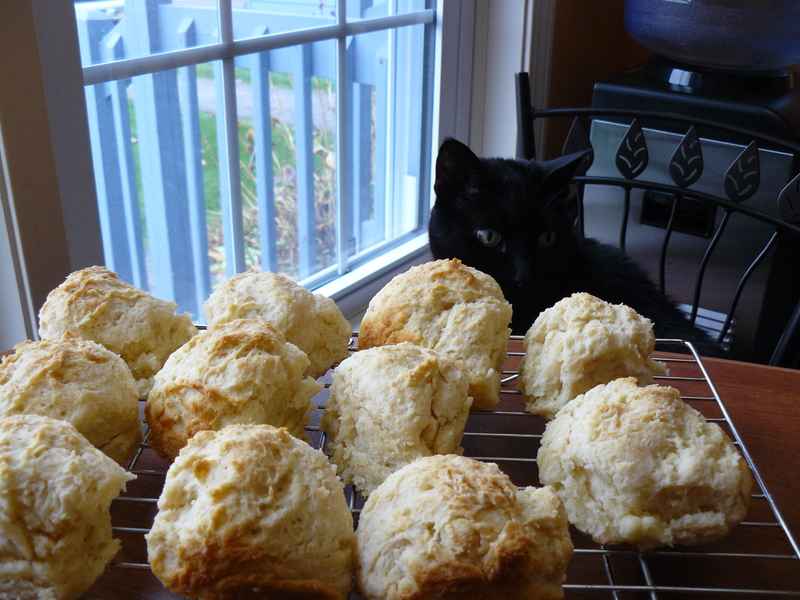 I’ve been loving cat head biscuits, as taught to me by Cook’s Country, since I first made them earlier this year. But biscuits big as a cat’s head are, well, BIG. Half a cup of dough BIG. That’s a lotta biscuit! I, for one, prefer something a bit smaller. Especially since I have a desk job and am not busily working on the railroad, as did those who ate real cat head biscuits back in the day! The original recipe calls for unsalted butter, which, till now, I’ve dutifully purchased expressly for biscuit-making. When I do buy unsalted butter, by the way, I love Kate’s. 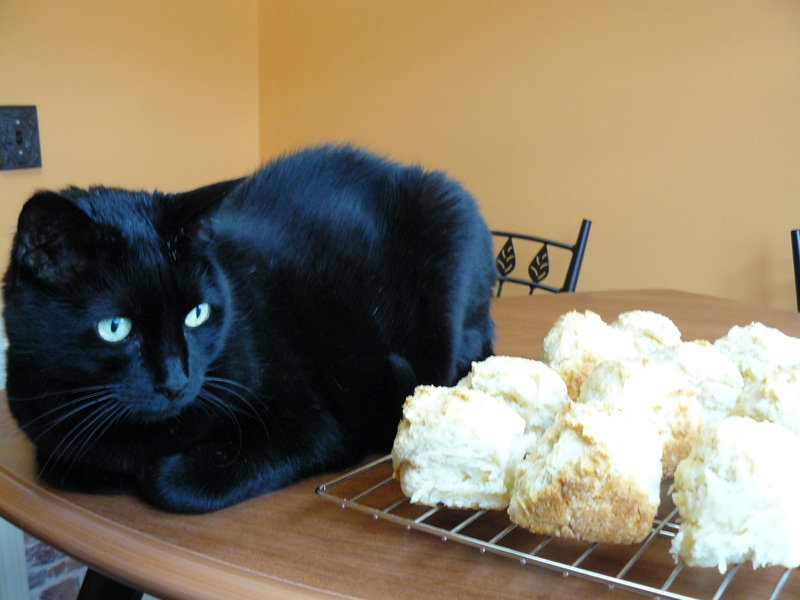 But today, I’ve adapted these fine biscuits from cat head to katty head–just 1/3 cup of dough instead of 1/2–and adjusted the amount of salt so I can use salted butter, which I ALWAYS have in the fridge or freezer. HOORAY! Shall I show you the way? *If you do use unsalted butter, use 1 teaspoon of salt instead of 3/8 teaspoon. Adjust oven rack to the upper-middle position and preheat to 425 degrees. Meantime, butter a 10-inch round baking dish or cake pan. I just happen to have a covered baking dish, perfect for both baking (uncovered, of course!) then storing the katty heads! Whisk together the flours, baking powder, baking soda and salt in large bowl. Rub butter and shortening into flour mixture with your fingers until it’s the consistency of cornmeal or slightly wet sand. Give yourself a little time to do this; it’s a rather zen-like task. Stir in buttermilk just till combined. Now, it just so happens my ice cream scoop is a 1/3 cup measure, but you could use a measuring cup if your ice cream scoop isn’t the same size. Scoop dough into prepared pan. In a 10″ dish, nine (9) scoops will go around the perimeter, with three (3) scoops in the middle. Like this! Bake until puffed and golden brown. In my oven, that’s exactly 25 minutes, but check at 20 minutes in case it takes less time at your house. Cool in pan for 10 minutes, then transfer to wire rack. Eat and enjoy! These biscuits are quite tasty with your favorite preserves. 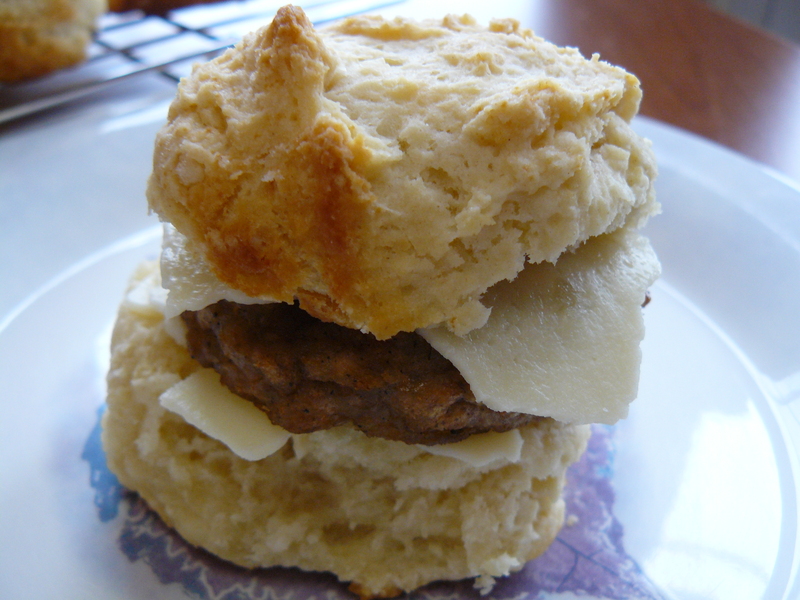 But my favorite, favorite way to enjoy them is as a sausage biscuit sandwich–with or without a slice of Land O’Lakes new 4 Cheese Italian Blend–Italian-American–just like me! HA HA HA! 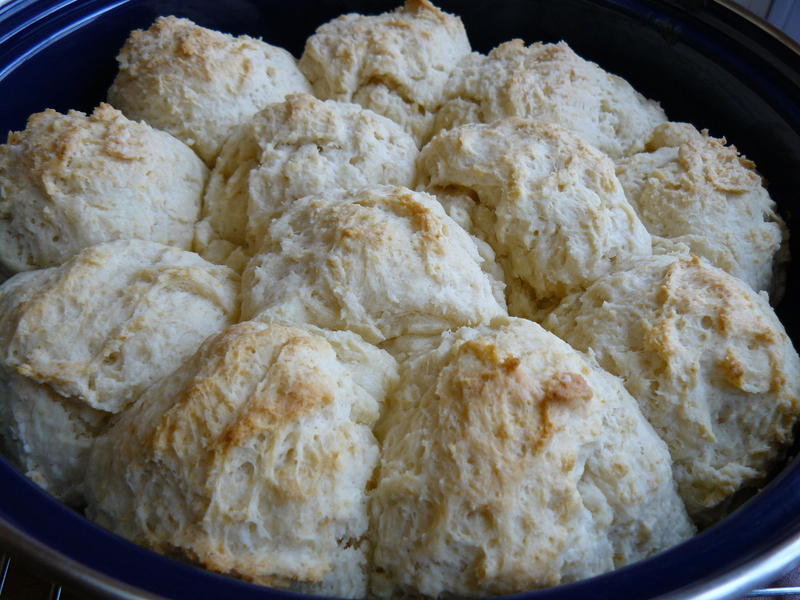 Cook’s Country says the biscuits can be stored in an airtight container at room temperature for two days, but for sure, I’ve stored them that way for longer. And I wouldn’t even say my covered baking dish is entirely airtight. They heat up beautifully with a quick ride around the microwave, too. We sure do love these biscuits a Casa Katty–hope you do, too! Happy fall, amici! How ’bout a new twist on Nanny’s crisp? One you might even consider adding to your holiday dessert table, what with the pretty colors and all. Mind you, Nanny wouldn’t have sprinkled alcohol over crisp, but it’s a mighty fine idea. And I like to think she’s smilin’ down on me in my kitchen regardless. When it comes to apples, I’m a Macoun girl all the way. They’re tart, sweet and easy to find in the fall here in the Land of Steady Habits. Though my favorite farmstand buddy at Berruti’s reminded me today with a rhyme, “Northern Spies for pies.” Support your local orchards and farmstands, find your favorite apples and follow me to the kitchen to make this crisp! Butter an 8″ x 8″ baking dish. 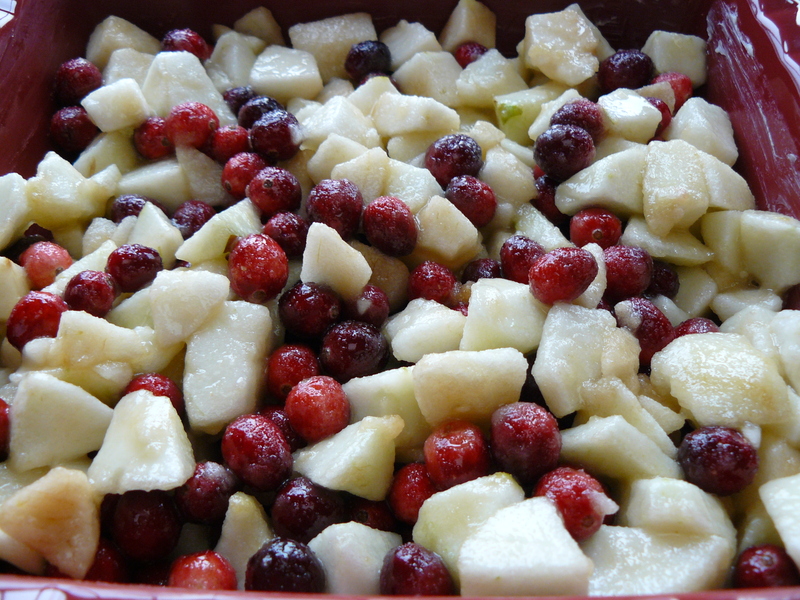 In a bowl, combine fruit with sugar and cornstarch to coat. Place fruit in dish. Mix together sugars, flour, cinnamon and salt. 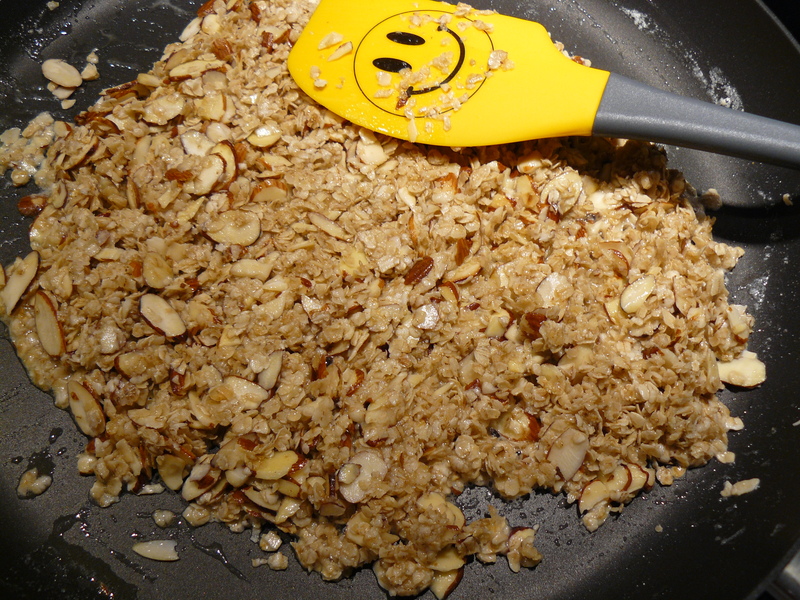 Stir into oat/nut mixture. 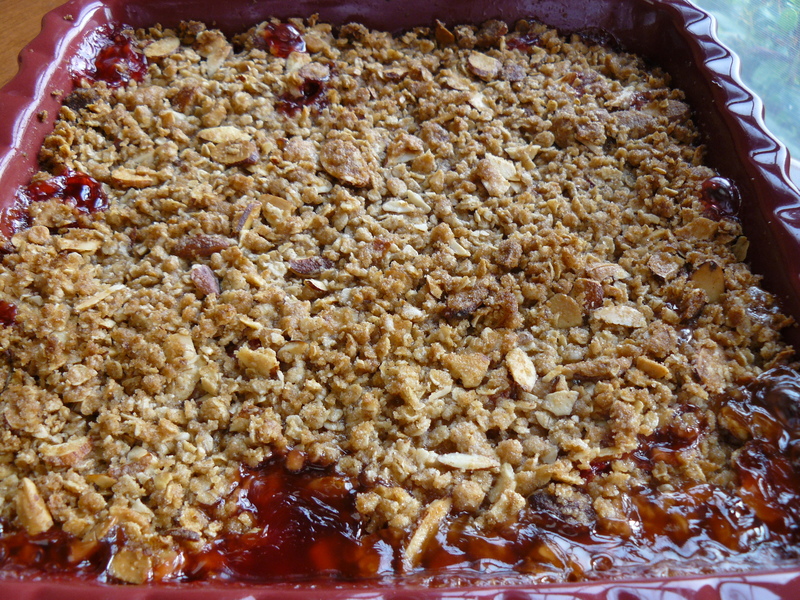 Spread crisp mixture over fruit. Sprinkle two tablespoons water (or booze if you are so inclined!) over the top. Bake at 400 degrees F 30 minutes or until fruit is tender. 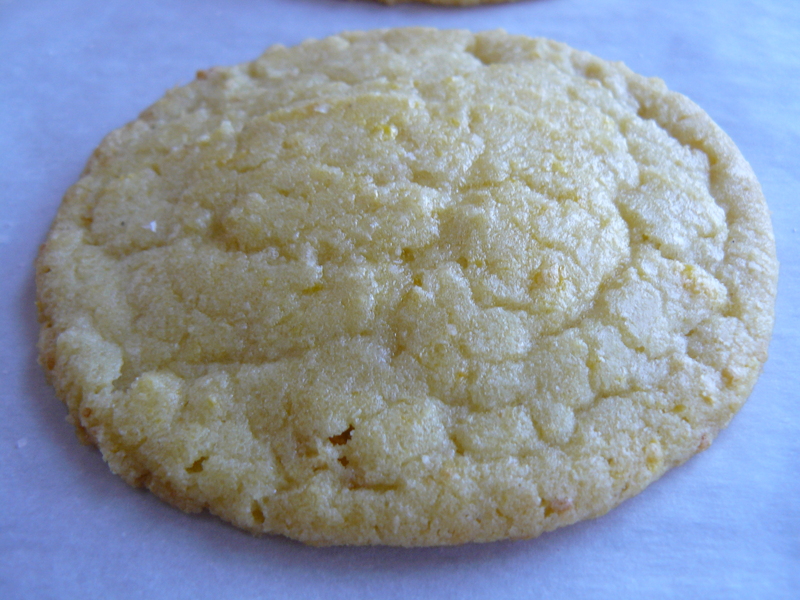 A few weeks back, after much waiting and anticipating, I finally baked the beloved Momofuku corn cookies. I was so high on these cookies, I devoured them with reckless abandon. 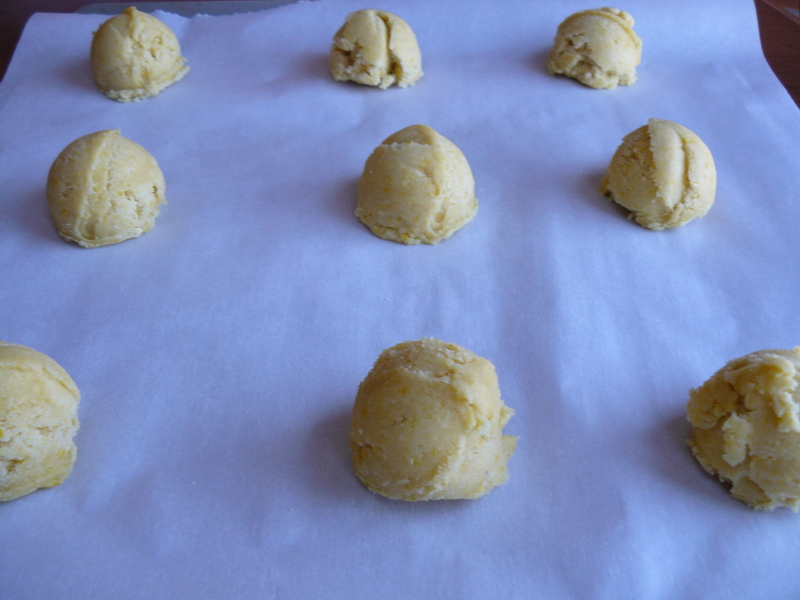 I portioned out the dough in scoops and froze it to have “on demand” corn cookies, fresh from the oven WHENEVER I WANTED. And I didn’t even share very many of these, no, sirree. You might say I became a bit of a corn cookie cow. MOO. So what on earth is a corn cookie? 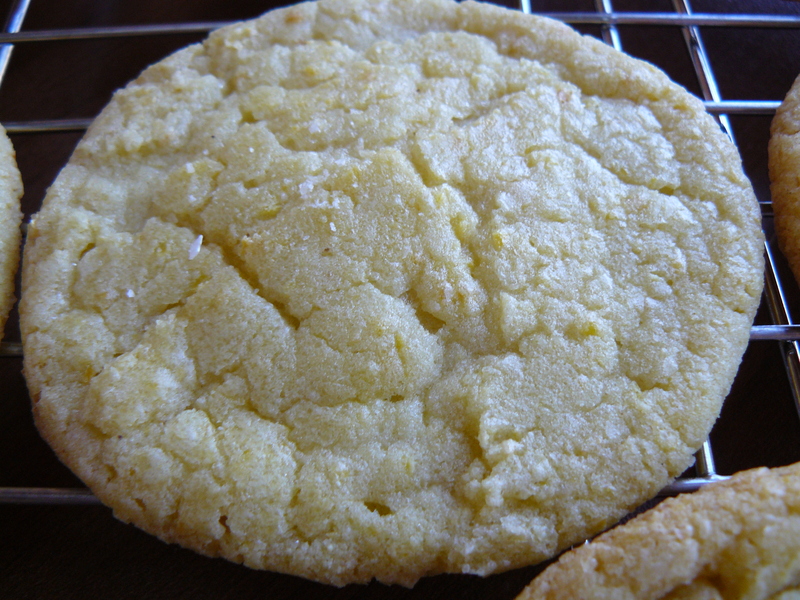 Besides delicious, I think of it as a delightfully corny sugar cookie: crispy outside, chewy inside, loaded with the sweet, sweet flavor of fresh corn. Before I get on with the recipe, there are three key ingredients you’ll need to find. The first is easy: corn flour. Not to worry about this ingredient being a one-trick pony, it’s a brilliant addition to corn bread or corn muffins and keeps nicely in the fridge. Bob’s Red Mill is readily available in most supermarkets. The second is fairly easy, too: EXCELLENT, high-butterfat content BUTTER. My specialty butter of choice is Vermont Creamery’s cultured butter, and as you may know, I prefer my butter salted. Around holiday time, you can sometimes find it at Stop & Shop (or they might order it for you if I ask). Year round, Whole Foods has it. The third may prove more challenging, depending on where you live. In my neck of the woods, no local stores carry freeze-dried corn (brand name: Just Corn). I ordered mine on Amazon. If you’re lucky, you may be able to pick it up at Whole Foods (but NOT in Glastonbury!) or a health food store. You blend the corn in a food processor to form a powder. Now that we’ve got the special ingredients out of the way, I must tell you how to bake these bad boys, so here we go! In a stand mixer, cream butter and sugar. Add the egg and beat for 7-8 minutes. In a separate bowl, combine remaining dry ingredients. Put the mixer on low, per Christina Tosi’s instruction, and add the dry ingredients in several waves just till combined. Measure out uniform scoops of cookie dough. I measured 1/8 cup scoops (that’s two measuring tablespoons if you don’t have a scoop). But before you bake, you must chill the dough at least one hour (and up to a week! 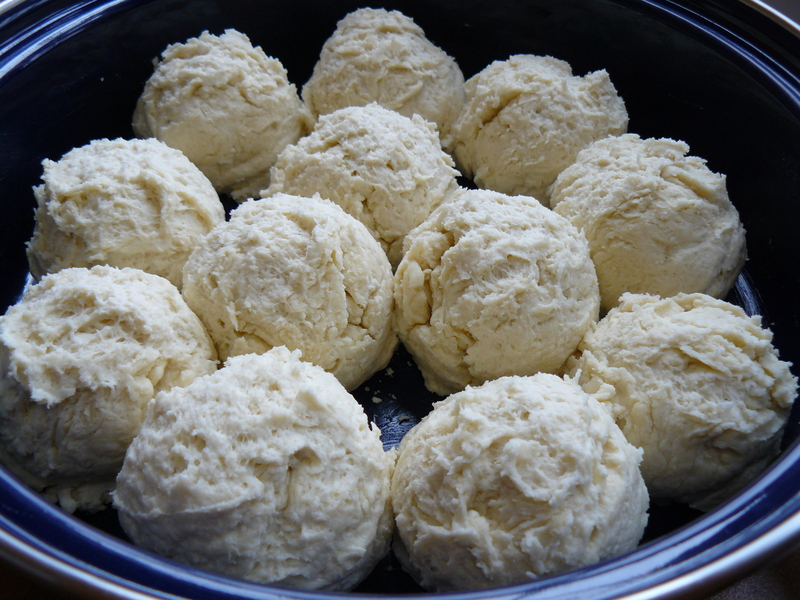 ), so scoop, then place the dough balls in a container you can cover tightly and stick in the fridge. They freeze beautifully, too–and can go right into the oven after a brief thaw (20-30 minutes–just about the time it takes for your oven to come up to temp, how convenient! )…that’s 350 degrees F, by the way. When it’s time to bake, place the chilled scoops on a parchment-lined baking sheet, three across. In my oven, 14.5 minutes is the magic baking time if you can hit it–otherwise, try 15. 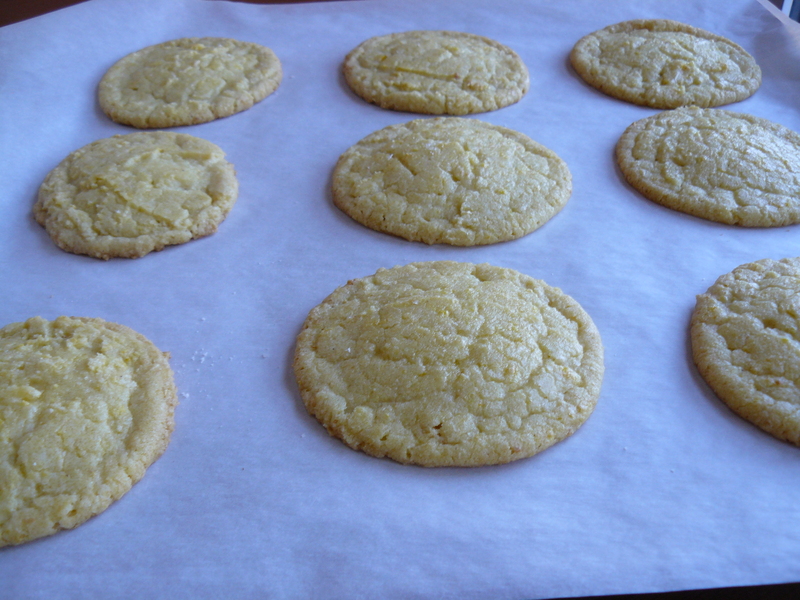 The finished cookies should remain a bright, golden yellow with very little browning, except a slight bit at the edges. When you remove them from the oven, sprinkle the tops with Australian flake salt, crumbled between your fingers. Let the cookies cool briefly on the pans before transferring to racks to cool thoroughly. Let your journey to Shangri-La via the corn cookie begin! That’s right! Don’t say I didn’t warn you: THEY’RE ADDICTIVE!